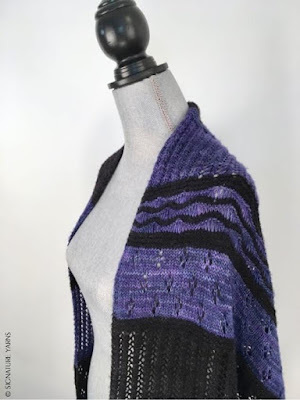 How to become a Professional Knitter - Robin Hunter Designs: Is It Scarfable? 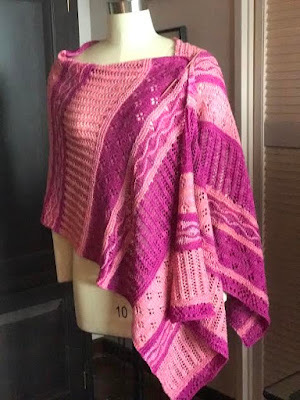 Last week at a knitting event I was showing a knitter one of my designs for Signature Yarns which has been done in two different yarns. I went on to show her how the shape was scarf-able. Yes that was the word I used. I don't think I made it up? I'm pretty sure I read it somewhere but of course I have no idea where. She did have a questioning look on her face but it disappeared as I demonstrated what I meant. Simply put, it works best with rectangle shaped wraps. 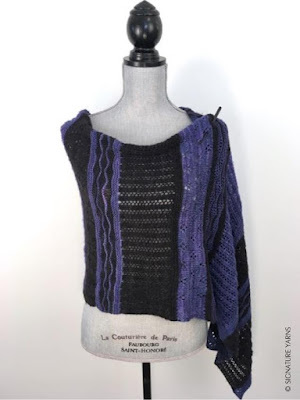 Fold the fabric on itself and wear it as a scarf, drop it from the long straight edge around your shoulders and wear it as a wrap or as a poncho with a shawl pin. Later it popped into my head is scarf-able really a word? you can say it anyway you want. it can have any meaning. you just simply take out a random word in a sentence and fill it in with scarf. it can mean something good, bad, cool, funny. -dude your being really mean today. -Hey that chick is definitely scarfable! 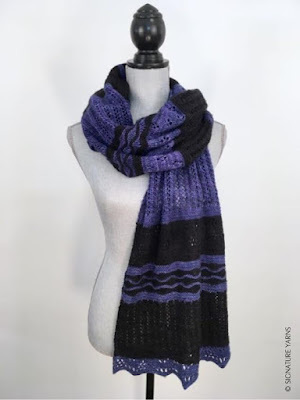 -scarf! i forgot my keys! Wow! I really do learn new things from knitting everyday.